In the past few years podcast consumption has grown exceptionally in Australia. The latest studies show 3.5 million Aussies listen to podcasts making it the fastest growing on-demand audio medium. Seeing as you don’t have to give them your undivided attention, podcasts are the perfect tool for agents wanting to make their daily commute, workout or coffee all the more productive and entertaining. Whether you want to keep up with the latest property news, improve your work-life balance, get investment advice, learn from industry experts or be gripped by tales of true-crime (check out Serial), there’s sure to be a podcast to suit. If you’re not already on the podcast bandwagon, you soon will be after a quick listen to our top picks for agents. Warning: it’s slightly addictive! If you’ve found real estate investing podcasts in the past to be slightly on the stuffy side, you should give The Property Couch a go. Hosted by Australian property experts Bryce Holdaway and Ben Kingsley, the guys provide practical advice on how to make the right property investment choices in an easy to follow casual conversational style. From money management, easy to digest 20 minute episodes and the occasional dad joke, what’s not to love! The GaryVee Audio Experience is one of the most popular business podcasts in the world. American host Gary Veynerchuk is a hugely influential entrepreneurial business leader and his passion for all things business shines through in his segments. Ranging from 60 seconds to 90 minutes, his episodes are jam-packed with fascinating Q&As, keynote speeches and interviews with successful business leaders. He also gives advice on content creation, sales, leadership, branding, productivity, marketing, social media, business strategy and even wine tasting. Leading real estate coach, Tom Panos dishes up no-nonsense tips and motivational segments geared towards busy Australian agents in short, succinct and bite-sized episodes. Tom offers advice on prospecting, planning, digital marketing, negotiation and much more. He also regularly interviews top agents who discuss their tactics for writing a seven-figure income year in year out. 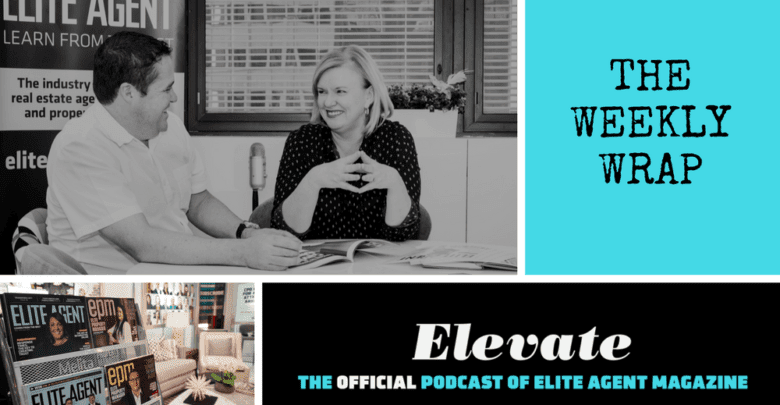 Hosted by Samantha McLean the editor of Elite Agent Magazine, Elevate is updated weekly and features lots of interesting industry goss and news. Largely interview based in easy to listen to 30 minute segments, Samantha chats with industry experts to get their take on market trends, what’s new in marketing and tech, and strategies for success. Tim Neary, editor of Real Estate Business, interviews the crème de la crème of the Australian real estate industry. We figure, who better to learn from than agents at the top of their game who are listing and selling more property than anyone else in the country? There are lots of practical strategies to be gleaned as the most successful agents in Aus discuss their real-world experiences, daily routines and beliefs. Episodes average about 20 minutes in duration, so they’re perfect for the drive to and from the office. If you only have a few minutes up your sleeve to indulge in a podcast episode or two, this is the one to subscribe to! Featuring top real estate coach Josh Phegan and top agent Alexander Phillips the podcast aims to help agents take their business to the next level by increasing their performance and productivity. Episodes are a treasure-trove of lessons on success, personal branding, teamwork, pipeline building, handling stress, lead acquisition, combating procrastination and being more productive. Plus, episodes are mostly under 10 minutes! We hope these real estate podcasts help to enlighten, inspire and entertain you on your way to achieving further success in your career. Did we miss any of your favourite podcasts? Please share them in the comments below. Now that the tricky part is over (selling a home) the real challenge begins for your clients; packing everything up and moving house. Regardless of whether your client has 30 days to get everything in order or a cushy 90 day settlement, they will appreciate a moving house survival guide to help make their move as seamless a transition as possible. We’ve prepared the following guide for you to share with clients to ensure they keep stress at bay and don’t miss any key steps while planning for the big move (download a copy or get the pdf). Organise several quotes with different moving companies. Make a booking at least a month in advance and always check reviews first. Get rid of clothes, appliances, crockery, books and home furnishings you no longer use or need. Hold a garage sale, sell items online, book hard rubbish collection or donate to charity to offload excess possessions. Take the hassle out of moving day and hire a professional cleaner to give your new and old home a good scrub. Get all the essentials you need for packing and moving your belongings safely. Think bubble wrap, boxes, tape, markers and packing blankets. Consider colour coding your moving box labels so movers know exactly what goes where and which fragile boxes need to be handled with extra care. Arrange appropriate home and contents insurance to cover your belongings during and after the move. Tip: Take photos of items before moving as a record of their condition. Download a copy of our Moving House Survival Guide (pdf version) to pass along to your clients. You can add your contact details and branding to the flyer if you wish. It can be easy to fall into the habit of using the same old marketing strategies month after month. But when it comes to the busiest time of year in the property market you cannot afford to become complacent with your marketing efforts, as you run the risk of missing out on lots of extra business. Here are five fresh ideas that'll kick-start your marketing this spring selling season. Competitions are a great way to re-engage and reward your database and social media followers during spring. Competitions are a good opportunity to get creative and have fun interacting with people through your marketing. 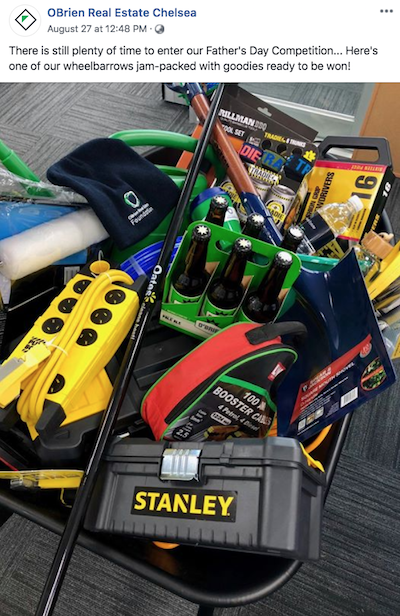 Kudos to O’Brien Real Estate Chelsea for their inventive Father’s Day Competition (image below) where sharing your best dad joke was part of the entry requirements on social media. Other seasonal competitions could involve an AFL grand final double pass, spring garden photography contest, Oktoberfest, family passes to the Royal Melbourne Show, Movember fundraising, spring cleaning product bundles, the sky’s the limit! In the age of digital marketing, direct mail can seem old-fashioned, but I believe it is one of the most effective ways for agents to communicate with potential sellers. Letterbox drop a market report flyer or postcard outlining the 12-month growth in unit and house prices, record sales, recent sales and upcoming auctions in the area. This data might just be the push someone sitting on the fence about selling needs to take action and contact you for an appraisal. Alternatively, letterbox drop a magnetic monthly calendar of upcoming local events this spring. This is something people will hold onto, especially mums and dads who are always in need of school holiday activities. Don’t forget to include a call to action down the bottom! Seeing as 83 per cent of Australian millennials intend to buy a home in the next five years it’s important to explore new ways to reach and connect with this burgeoning audience of buyers and sellers. Get in the habit of posting personalised video property tours of your listings to Snapchat. Consider live streaming auctions to Facebook. Create Instagram TV customer testimonial videos and post Instagram stories linking to your blogs, behind the scenes pics at the office and listing sneak peeks. All these ideas will allow you to connect with your audience on several platforms more frequently on a more personal level. ‘Tis the season where more people are buying, selling and seeking real estate advice online than any other time of year. Therefore, September through November is the best time to ramp up your online content production and promotion. Start drafting a number of resources to share weekly with your email database and put bit of paid promotion behind on social media to grow your following. A great way to raise your profile around the neighbourhood, at the same as doing something altruistic for the local community, is to give back this spring. Run a fundraiser for a worthy cause, sponsor a community event or sports club, hold a free first home buyer seminar or get involved in volunteering at the RSL or a charity shop. For example, McGrath Croydon has an innovative fundraising idea (see image below) giving a vendor the chance to donate the commision from the sale of their home to the local footy club. Joining events and fundraising for causes close to your heart will help locals get to know you and illustrate that your business truly cares for the community it services. This will make locals much more amenable to future marketing messages and knowledgeable about the go-to real estate brand when it comes time to sell. Hopefully these ideas inspire you to try something new and creative for your marketing campaigns this spring. For more ways to get ahead take a look at our guide to effectively prep vendors for a spring sale. As you're checking emails after hours or responding to enquiries on the go, you may wonder if devices like the smartphone really make your work life better. But, there's little doubt that in many ways, they can make a real estate agent’s life more efficient and easy. Need to know what the weather’s like for an auction this Saturday or how long it’ll take to get from the office to an appraisal? You can get the info in seconds with a simple ‘Hey Siri!’. Like it or not, thanks to smartphones, tablets and smartwatches all the answers are in the palm of your hands (or on your wrist!). Technological advancement provides a serious opportunity for agents when it comes to making, saving, investing and managing money day-to-day. Unfortunately, finding the best apps to help do that is a little trickier. Did you know that if you were to count up all the apps offered in the leading app stores, you'd probably burn out at the two million mark? 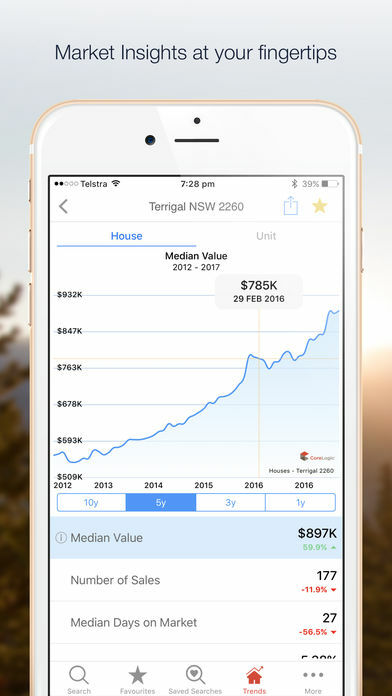 So, we've done the hard work for you and hand-picked some of the best finance apps for real estate agents that’ll make life easier AND better starting from today. A neat tool that helps a business keep track of balances, expenses and notifications - like paying a bill on time. Everyone can individually log in and it’s particularly handy for tracking debt and keeping tabs on runaway spending. It automatically figures out who's spending the most, who owes what, and how bills and expenses for meetings and work trips should be divvied up. Keeping track of all the expenses that come along with business trips can be a real hassle. Flight bookings, airport parking, hotel accommodation, meals and logistics can be a lot to deal with. That’s what makes TripIt so useful - you can combine all your travel documents and details into one itinerary just by emailing the app. It’s easy and free! Xero is online accounting for small businesses done right. Use the mobile app to view account balances, settle bank transactions, send invoices and keep track of your cash flow all in real time. Evernote is a must-have for any office who needs help staying organised. It’s essentially a smart digital filing cabinet that you can use to store business notes, images, videos, web pages and checklists. Best of all it syncs across all of your devices (and your team’s) so you’ll always have what you need when you need it. Seriously awesome. 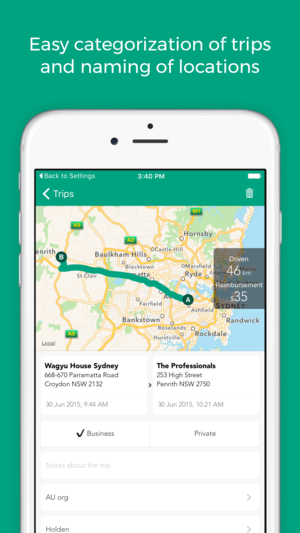 TrackMySPEND is perfect for recording expenses and creating (and sticking to) a budget. Insert upcoming events like open houses, client meetings, conferences or even a coffee over lunch, and TrackMySPEND will help sync it all with your customised spending limits. Separate 'needs' from 'wants' for potential savings, set limits for luxuries and get reminders sent to your text message inbox. So handy. Expensify is an app for photographing and storing receipts, tracking time and mileage, and keeping tabs of rate-based expenses as well as currency conversions. Think how easy it’ll be at tax return time having all your work-related expenses from the past financial year recorded in the one place. No more lost receipts and calculating mileage! Another bonus is it syncs beautifully with many of the top platforms used every day by business savvy people, including Excel, SalesForce, Xero and more. If you’ve ever thought about investing but are unsure where to start, then Clover is for you. It’s an automated online investing platform that makes investing hassle-free, easy and affordable. In less than five minutes Clover will recommend a diversified and low-cost investment portfolio for you built on Exchange Traded Funds and Nobel Prize winning principles. Fees are low, they automatically rebalance your portfolio, keep your money safe with bank-level security, and have Socially Responsible Investment options for all portfolios. We hope these apps help you to keep your budget and finances on track. For more technology that’ll help streamline your day take a look at these productivity-boosting tools for agents, great goal setting apps and the best tech for property managers. Clover.com.au is an automated investing service (AIS) bringing online personal financial advice to Australians who are currently unable or don't have the time, to obtain smart advice. We use Nobel Prize winning investing principles to build you a customised, low-cost portfolio tailored to your level of risk. Visit Clover.com.au to learn how we can help you get started on your investing journey. A variation of this post previously appeared on clover.com.au and has been modified with permission. Disclaimer: The information provided is a general guide only. Homely has no association or interest in any of the organisations or their affiliates mentioned above. Tom Ferry says it best, ‘All the money is in lead conversions’. There are thousands of ways to generate, capture and convert leads. But if you're still letting too many leads fall through the cracks, it's your lead conversion system that's failing you. Every single lead that comes in should be treated with top-notch service. But when we focus on hard selling all our leads, or on converting only on the leads that are hot — we miss a ton of opportunities to close deals. Here are a few simple fundamentals to help you convert more real estate leads in less time. Not too long ago, the number one rule of lead conversion was to follow up fast. A 2009 study by researchers at MIT found that the best time to call a lead is within 5 minutes of the lead viewing your website (now that's fast!). With most of your competitors taking their sweet time to reach out to leads, you can definitely get an edge by following up with leads as quickly as possible, by using the power of a CRM. But in the new game of real estate, longevity matters just as much. Today's homebuyers and sellers have more options than ever before. If you want to be the agent of choice, you need to not only follow up quickly, you need to follow up consistently. These days, it takes an average of eight touches to close a sale, and buying a home isn't a decision your leads are going to make overnight. Use automated texts and emails to send an immediate message to every lead letting them know you'll be in touch soon with more information. Then, make sure you follow up. Be the one who actively and consistently delivers value-driven content, and you'll be the first person your leads think of when they're ready to make a move. 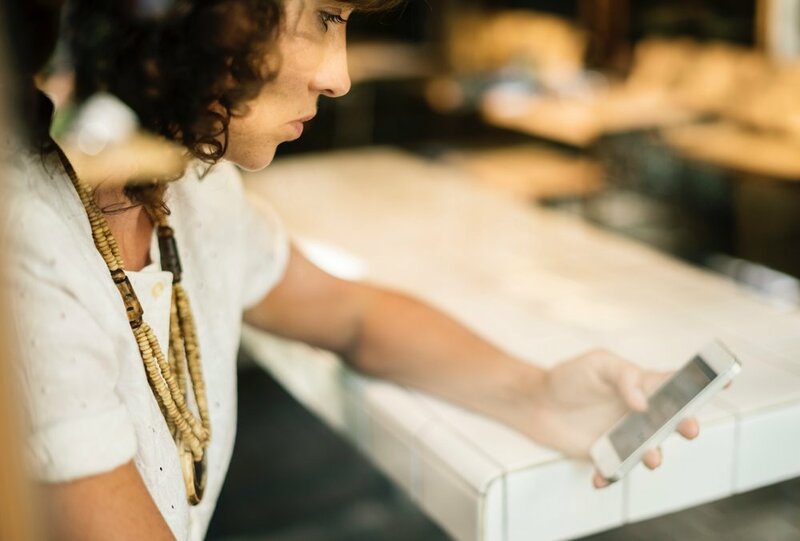 In today's world of texting, emailing, and online everything — a lack of genuine human connection could be the one thing keeping you from closing more deals. In fact, some say loneliness is the next great epidemic. As a real estate agent, you're hard-wired to serve the people of your community. Video is a great way to add a personal spin to your digital marketing efforts by putting a real human face to your content. Rockstar agents like Barry Jenkins (leader of the number two Better Homes and Gardens Real Estate Team in the US), use video not only for lead follow up, but even when onboarding new agents to their teams. According to Barry, smart automation is what gives his team the ability to scale and leverage. ‘We have the automation, but what really matters is that we’re able to wait and apply it relevantly,’ he says. Tools like BombBomb can easily integrate with your CRM, making it a breeze to go the extra mile and let your leads really see you. But remember, a relevant, human touch is what makes all this ‘tech stuff’ effective. Always take the time to make sure you're delivering something of value. 269 billion emails are sent every day. To say that your leads are overwhelmed with info is a MASSIVE understatement. When asking for an appointment, make it as easy as possible. No one has time to enter into a back-and-forth dialogue about who is and isn't available Wednesday afternoon. Cut to the chase, already! If your CRM offers an option to automatically book an appointment in your calendar, USE it. And if not, tools like Calendly make it dead easy to get in the door with your leads. Send an automated reminder email so your leads never miss an appointment. If you've committed to following up quickly, consistently, and making the process as easy and value-driven as possible for your leads, congrats! You're doing it better than the vast majority of agents out there. But there's one more crucial area where many agents fail to convert: Demonstrating your value. If you know you're the best person to help your leads, you owe it to them to make sure they know it, too. After all, if you don't get their business, someone else will. Whether it's adding a logo for an award you won, a link to your ratings, or a couple of killer testimonials — your leads need to be constantly reminded of why YOU are the agent to work with. You can walk 10 kilometres barefoot in the snow for your leads but if they don't clearly understand what it is you offer that no other agent can, they could still jump ship for the agent next door. Never be shy about your value. Claim it, own it and most importantly — SAY it. If you're the right agent for the job, your leads with thank you for it. For more ways to improve your lead conversion strategy check out this three-step lead conversion guides, five rules for following up leads and how to convert baby boomer leads. Dave Lawrence is the Head of Growth at Follow Up Boss, a CRM for real estate teams. In his role he spends his time ‘under the hood’ of many of the top performing real estate sales teams, helping them leverage technology and process to become more effective at delivering value and service to their clients. Disclaimer: The information provided is a general guide only. Homely has no association or interest in any of the companies or their affiliates mentioned above. Are your listings getting the amount of attention they deserve? You can invest a lot of time and money into their marketing but if they end up competing with other listings in the same mediums and publications, your efforts may not be fully rewarded. To truly draw buyers’ attention to the unique features of your listing, it needs to have the spotlight firmly fixed on itself. Property microsites are exactly the kind of solution that your marketing campaign is missing. What is a property microsite? A property microsite is a standalone website devoted solely to the promotion of your listing. This allows you to direct buyers to a single webpage, with its own domain, where they can explore the features of your property. Your listing’s media can also be extracted directly from Homely and other property portals, so there is no time wasted re-uploading assets to your microsite. The microsite’s real benefit though comes from the ability to track data. 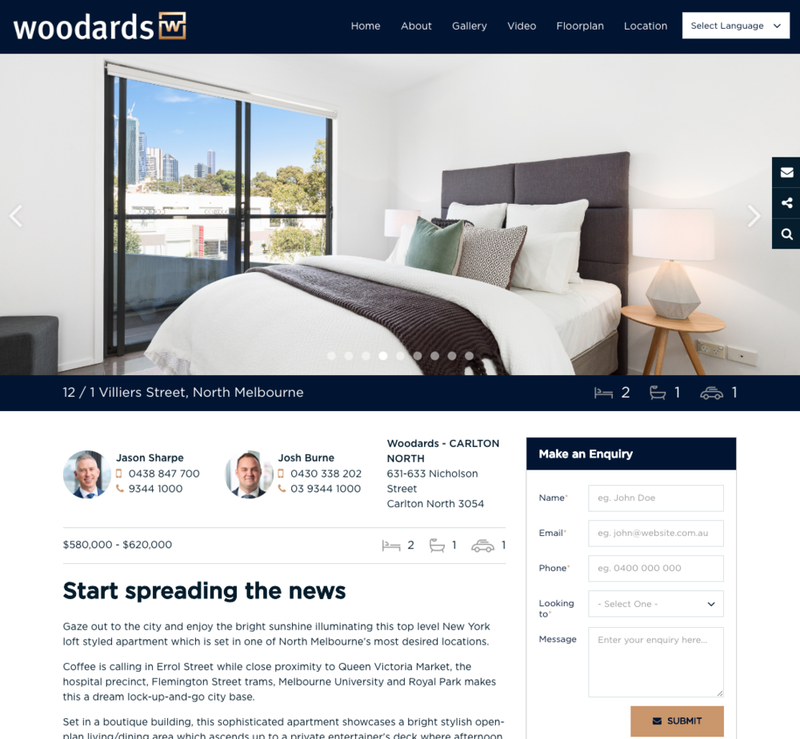 This microsite (see below) for 12/1 Villiers St, North Melbourne for example, received 350 unique visitors, who spent an average of two-minutes looking at the property, over the course of its marketing campaign. This is valuable information for agents because they can see objective results from their marketing efforts. All the while, the agent, and the agency’s brand remain a prominent feature of the listing. Another key advantage of a microsite is that it’s incredibly easy to send traffic there. A simple email campaign to your existing database can link to your listing’s microsite or it can be shared directly via your social media channels. Offline, your custom domain name will make it easier for buyers to remember when they choose to visit the microsite. For prestige properties or those with a higher marketing budget, a targeted digital campaign is extremely effective for driving your preferred buyer demographics directly to view your listing. When buyers arrive at your microsite, they're immediately presented with all the property’s essential details and enquiry form. And if they are foreign buyers, they can choose their native language from the dropdown list at the top of the page. Once buyers submit an enquiry, you're immediately notified. You have all their details and can follow up to make that winning sales pitch. When your listing is competing for attention across multiple channels, it may receive 1000 glances. But what percentage of those people are engaged with what they see? Attention is a fleeting thing, but if you can direct qualified buyers’ attention to focus on your listing alone, the amount of genuine interest could skyrocket. The more interest you have, the better potential you have of receiving a premium price for your listing. Visit Urban Angles for more information or a free property microsite demo. For more real estate advertising tips check out these property marketing must-haves, how to sell million dollar properties and extravagant inspections: creative marketing ideas. Urban Angles are property marketing specialists providing residential and commercial photography, floorplans, video, web programming, 3D visualisation & design. Their creative edge, advanced digital technology and superior image quality attracts buyers and gets sales results. Urban Angles are commissioned by Australia’s leading property groups, agents and builders. Disclaimer: The information provided is a general guide only. Homely has no association or interest in the organisation or their affiliates mentioned above. Let’s face it, enquiries are the lifeblood of any successful real estate business, and we know that the main source of enquiries is online real estate advertising. For that reason, the features and language you use in property listings need to be carefully considered and refined. Persuade potential buyers that your listing is just what they’ve been searching for. To inspire house hunters to take the necessary action to make the home their own. The amount of effort you put into any property ad is a direct reflection of the quality of the service you provide vendors. So, you don’t only want to attract sellers today but also need to impress people looking to sell in the future who come across your listings in their research. Here are our tips that’ll ensure you put your best foot forward in your real estate listings. The practical purpose of your listing headline is to inform prospective buyers about what makes that particular property unique within an instant of viewing your ad. Most agents pick the primary selling feature to make their headline. Take your listing to the next level by writing something out of the ordinary and different from the standard ‘nice home, great location’ headlines buyers are used to seeing over and over. An enticing or humorous one-liner will make the property stand out and stick in a buyer’s mind. You want to make buyers do a double take and compel them to keep reading. If you have a specific target buyer in mind choose a key feature or benefit that’ll appeal most to them to include in your headline copy. The ‘Feng Shui inspired masterpiece’ example below will work wonders to entice Feng Shui enthusiasts to read on and then hopefully pick up the phone. The clever play on words using the location of this Fitzroy North property as inspiration will make buyers remember the address of the home but also indicates that it offers luxurious living, all in a brief four-word headline. In your listing description, you need to cover off all the basics buyers need to know, as well as paint a compelling picture of the property that’ll make them want to see more. Ensure your description is easy to scan for readers (bullet points can be useful) so the key information they need jumps out at them, then go into more descriptive detail to add interest. Price. This is likely to be the most important factor when buyers are searching for a new home. Without a price guide, it’s not uncommon for buyers to exit the listing page or assume the home is too expensive. The Statement of Information helps any interested parties to determine a realistic price estimate. Specs and amenities. Provide the number of bedrooms, bathrooms, car spaces and the lot size early on in your description. 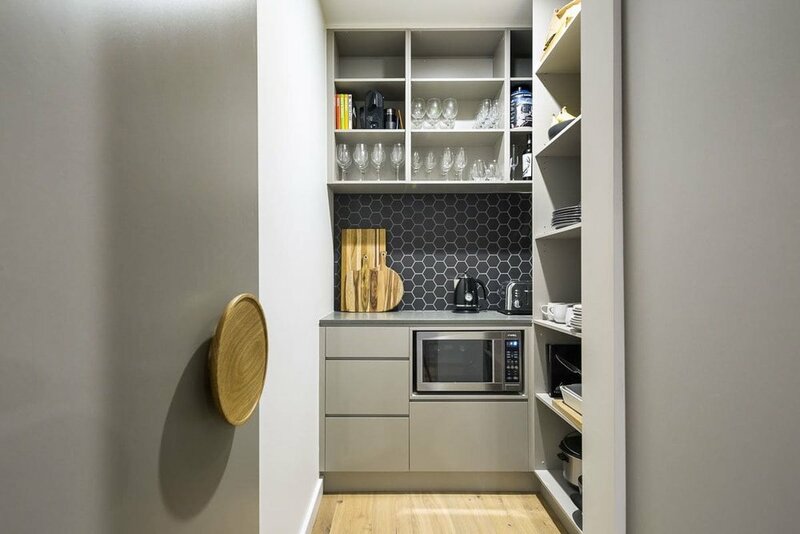 Other desirable attributes to go on to talk about include a dishwasher, heating, cooling, appliances, an outdoor space, any recent renovations, built-in robes and floor coverings. Location is a huge priority, after price, for buyers. Describe the neighbourhood and what is located within walking distance of the home. After all the essential information is out of the way, go into selling mode and describe all the incredible and unique features the home has to offer in an interesting and compelling way. This could include descriptions of the views, its water or park front location, wine cellar, environmental and energy efficient features, its Zen garden, butler’s pantry, dressing room, sauna, spa, private gym facilities and nearby amenities (think schools, parks and shops). ‘Truly the perfect antidote for a hectic city life, our owners have created a cosy inviting space where life seems to go on at a more leisurely pace. The beautiful open kitchen is the hub of this home and encourages long dinners with family and friends. Maybe a glass of wine curled up in front of the open fire with a good book is your thing’. It’s not out of the ordinary for most agents nowadays to have beautifully staged and professionally captured photography to promote their listing. But not all agents are going the extra mile to include a video tour and drone footage of the property in the ad. Having a professional video produced will add that extra wow-factor to your listing, showcase the lifestyle perks of the property (in a way words can’t), and the visual and audio cues will effectively tap into buyers' emotions. Evoke a feeling and sell a lifestyle over and above what static images and the written copy can accomplish. Successfully showcase the unique and attractive features of the home. Appeal to a broad demographic with musical selection and narration. Include agent details and a clear call to action to conclude. The following video and its narration, ‘Entertainers will absolutely love this private outdoor space, you can soak in the heated spa after a candlelit dinner with friends on the terrace’, does a great job of setting the scene and selling the luxury lifestyle perks of this stunning Lavender Bay home. Buyers need to know what to do next to make the property they’ve just watched a video tour of and read all about their own. So, be sure to add a call to action at the end of your listing urging potential buyers to get in touch via phone or email for more information or if they want to meet in person. Also, make sure they know when all inspections are scheduled and how to register for the auction within the listing. Putting together a compelling and engaging real estate listing is an art, and over time, with a bit of practice and some guidelines, you’ll perfect the process. With email inboxes increasingly inundated with spam and news feeds flooded by sponsored posts and video ads, some might argue offline marketing initiatives are as important as ever. As direct mail is not currently a crowded marketing space a great opportunity exists to get your foot in the door with potential buyers and sellers. It’s tangibility- Consumers receive less physical mail these days than emails so direct mail stands out. People pay attention to the mail they physically receive and will at least glance at your message to determine if it is relevant to them. Personalised message- It makes potential and past clients feel special and appreciated. Personalise your message for your key audience to make it as appealing as possible. Targeted- You can perfectly tailor your direct mail campaign to a specific audience from renters, buyers, sellers and long-time customers. Measurable- A misconception about direct mail is that you can’t track your results but there are a number of ways to measure your response rate. You can use unique QR codes, create a campaign specific landing page (e.g. thegreatestateagents.com.au below) and utilise call tracking. So long as you include a clear call to action, you’ll be able to track your campaign. If you’re considering shaking up your marketing strategy or just want to try something different, here are five different ways to leverage direct mail to build your brand and drive leads. A monthly important events calendar is the perfect way to increase awareness of your brand and because of its usefulness for a month, it’s less likely to end up in the recycle bin than some other forms of direct mail. Include upcoming national, state as well as local community events. Also add handy reminders for daylight savings, school holiday times and public holidays. Better yet sending out yearly magnet calendars can make you a daily presence on potential clients’ fridges for around 12 months. So even if they don’t need your services when they receive the magnet they’ll become familiar with your face and name and know who to call when the time comes to move. Always include your name, headshot, contact number and website on your magnetic calendar so potential clients can easily reach out any time of year. Depending on who you’re targeting in your campaign outline why now is an optimum time to buy or sell in dot points in your market snapshot. Include the latest stats for your area (median prices, growth rate, auction clearance rate and the number of recent sales) to provide readers with everything they need to know. Also, mark all your recent sales on a prominent map to quickly illustrate the volume of business your agency has turned over. Add a call to action for potential sellers who want to find out more information about recent sales and to arrange an appraisal on their place. Add an authentic and personal feel to a recent local sales postcard by featuring a couple of quotations from your latest client testimonials. This will help build your credibility and offers potential clients insights into what they can expect if they were to work with you. It’s a good idea to add the details of your website and social media channels for anyone that wants more information and to hear additional stories from more of your satisfied clientele. The formal nature of direct mail makes it the perfect way to inform potential clients in your service suburbs about upcoming events you’re hosting. Events give you the chance to share your expertise, engage with the community and answer any burning questions people may have about the local market. You may be hosting a first home buyer information night, a home seller seminar or an investor Q&A session. Whatever the event may be, it’s a great way to get noticed, collect leads and connect with locals face to face. Don’t forget to include a call to action on the flyer or postcard for people to register for the event, so you can gauge interest, attendance numbers, collect potential clients’ details and rate the effectiveness of your direct mail campaign. Become the authority on all things real estate as well as everything to do with your suburb by using direct mail. A fun way to become recognised as a ‘local expert’ is to provide a short list of your favourite local attractions, takeaway restaurants, the best family activities (even better if it's in time for school holidays and includes a map) or a review of a new local café, whatever you think aligns best with the interests of your target demographics. Include pics showcasing local landmarks and businesses to catch your reader’s eye. You could even look at teaming up with a local business to provide a special offer to people that hold onto the card to get a small discount on their first visit. That way your direct mail will be held onto by offering a small incentive and they’ll have a positive association with you and your brand when they save some cash when redeeming the offer. We hope these ideas help inspire you to consider adding direct mail to your businesses marketing mix. Are there any direct mail marketing tactics you've had great success with? Please share them in the comments below. With 4.2 million monthly active Australian users, LinkedIn is quickly becoming a vital brand building and lead generation tool for real estate agents. Many professionals assume LinkedIn is a ‘set and forget’ type of social media or a platform only useful when recruiting new staff. But this is far from the case. LinkedIn provides agents with a unique, not to mention free, marketing opportunity to amplify their personal brand, enhance their skills, further their careers and even generate leads. Hubspot research shows LinkedIn is the best social network for lead generation with a conversion rate almost three times higher than that of Facebook and Twitter. The research concluded the reason behind this was due to LinkedIn’s lack of clutter, clickbait and random social ‘chatter’, where business’ marketing posts are more likely to get noticed than on other more marketing saturated platforms. Before revisiting or setting up your LinkedIn account remind yourself that your LinkedIn profile is typically one of the first pages that comes up in a Google search of your name. So, you need to put your best foot forward and treat the content like a public digital resume. Here are the top ways to make your LinkedIn profile work harder. If you haven’t got one already, this is the perfect opportunity to have a professional headshot taken. Formal headshots build trust and credibility with future clients and potential employers. According to LinkedIn users that have a professional headshot get 14 times more views than users that don't. Key to an effective LinkedIn headshot is to take it from the torso upwards, to smile and wear what you typically would to host an inspection or conduct an appraisal. Also, ensure it is a current picture (nb. It’s a good idea to refresh your headshot every six years or so). Your headline appears every time you’re active on LinkedIn, in search results and on invitations to connect so it’s critical to get it right. When drafting your 120-character headline, it’s important to include specifically what you offer, who you help and how you can help them. E.g. 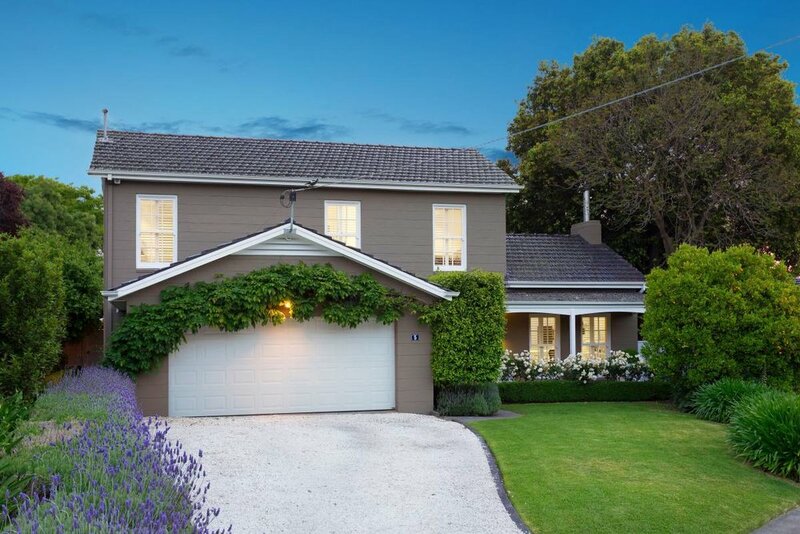 ‘Sales Agent | ABC Agency | Mornington Peninsula property market specialist’. For SEO purposes carefully consider the key terms a person is likely to use when searching for someone with your skills in your service area. Customise your LinkedIn profile’s URL to feature your name and role (i.e. www.linkedin.com/in/robert-robertson-real-estate-agent) to help with your visibility on LinkedIn and Google search results. This also makes it easier to share your profile. Consider adding the link to your email signature and business cards to get more connections. Aim to include three to four paragraphs in your summary outlining your value proposition, market knowledge, bullet points of your special skills, professional achievements and industry experience. By no means do you have to reach the massive 2,000 characters allowed, a concise ‘elevator pitch’ style summary works best. Include a call to action to conclude your summary so that potential clients can easily get in touch if they like what they see, e.g. ‘Get in touch for a free property appraisal’. 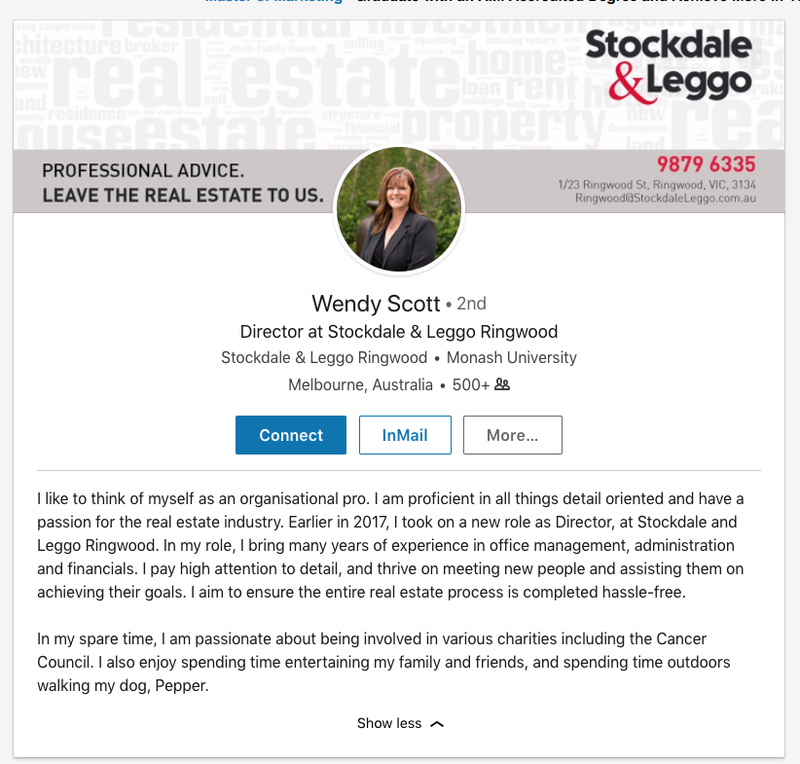 If there’s room add a link to your website, your email address, contact number and social media profiles to your summary, as your LinkedIn contact details are only available to your connections. Alternatively, add your contact details to your LinkedIn cover image to help them stand out. If in doubt take a look at what other leading agents are doing with their LinkedIn profiles for inspiration. As below, we recommend writing your summary in the first person to help encourage people to connect with you by adding a welcoming, personal and genuine feel to your profile. Share some of your proudest achievements, hobbies, interests or volunteering efforts here to inject your personality into the summary. To make the most of your LinkedIn profile and get noticed it is crucial to get active and engage frequently with members you add to your network. This is easy to achieve by joining relevant industry groups, following key influencers, sharing your own original content and commenting on updates in your home feed. Find different groups by searching for them by name in the search bar or discover recommended groups for you under the ‘work’ icon in the top right corner and selecting ‘groups’. Check out the Real Estate Professionals Australia and Australasian Real Estate Professionals groups to get started. One of the most compelling ways to boost your credibility in the eyes of potential vendors and employers is to build up your bank of endorsers on your LinkedIn profile. Get in touch with your best clients and colleagues to request a short written endorsement to showcase their experience working with you and the skills you bring to the table. Before seeking endorsements make sure your skills list is complete with your major strengths and areas of expertise. Let your endorser know if there’s a particular skill you’d like endorsed and always offer to reciprocate if they’re in your LinkedIn network to sweeten the deal. Alternatively, endorse them and hopefully, they’ll return the favour. Are there any special techniques you use to ensure your LinkedIn profile stands out from the crowd? Please share them in the comments below. It’s crucial that your professional biography conveys the right message because it’s where potential clients form their first impression of you. You only get one shot at a first impression after all, and if you want your bio to bring in new business there are key features you need to include to both attract and engage clients. and promote the unique ‘value-adding’ skills you bring to the table. Here are our five tips on how to craft an outstanding agent bio. The start of a new work year is the perfect time to review and update your bio. Include your credentials, latest achievements, awards and any new skills you’ve developed. Aim to revisit and revise your bio every six to 12 months to make sure it is current and tracks your professional progress. A word of caution- Avoid coming across as immodest by selecting just three of your greatest career achievements to date to include. 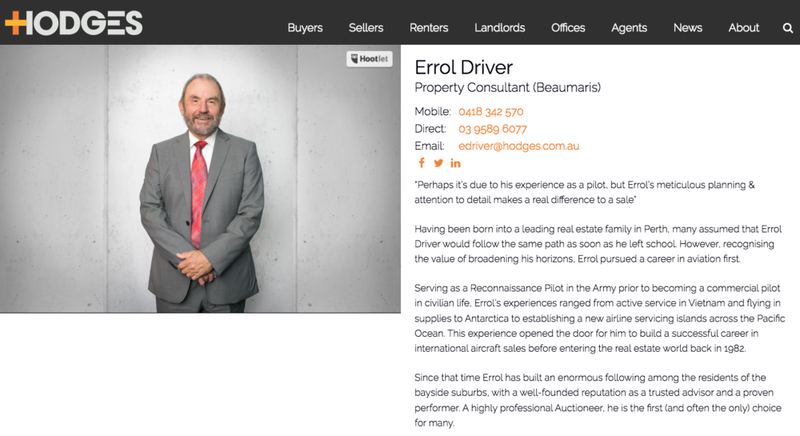 Clients can easily be put off by overly boastful and advertisey agent bios. They want to know you as a real person and how you’re equipped to help them. Don’t forget to upload the revised version to your company website, professional social media accounts, marketing materials and property portals. Be sure to describe how you’ve developed certain skills (e.g. negotiating, a second language or auctioneering) or specialty areas (in a particular suburb or type of property) to show potential clients your value and exactly how you'll support their real estate needs. Feature a headshot alongside your bio so potential clients can visually connect with you by putting a friendly face to a name. If you haven’t already, hire a professional photographer to get a well-lit and high-quality result that will enhance your credibility and professionalism further. Go that extra mile to engage clients by making a video bio to illustrate your tech savviness and authenticity. A video allows you to provide a clearer snapshot of your personality, passion for the role and work ethic than a written bio ever could. A great way to generate leads and stand out from the competition with your bio is to create a connection with clients on a more personal level. Use one to three sentences to give clients a sense of your personality, passions and to depict what kind of person you are. This could relate to your family life, what drew you into the real estate industry, how long you’ve lived in the area (to highlight your local expertise), hobbies, community service or whatever piece of yourself you think your target market would appreciate and relate to best. You want to establish yourself as a hardworking, honest and real person who can relate to clients' wants and needs, so adding a personal touch to your bio is a must. Towards the end of your excellent bio you want to provide somewhere for clients to go if they’re hungry for more information about you. Add in your contact details (office address, phone number and email), links to the professional social pages you’re active on and client testimonials. This way they can get in touch easily straight away or connect with you online and come back to you when they’re in need of your services. Posing questions like ‘Do you have a query about a location I can answer?’ or ‘Would you like a free appraisal?’, also help to prompt potential clients to engage with you beyond your bio. We’re firm believers that the best agent bio is a short agent bio. So, carefully edit your bio to make it as succinct and easy to read as possible. Between 250 and 400 words, no more than four paragraphs is a good target lengthwise. You want your bio to be something that can be breezed through in about a minute. You don’t want your accomplishments and skills to be overshadowed by spelling errors or grammatical mistakes. These kinds of blunders point to a lack of attention to detail and professionalism. No client wants these kinds of errors in the marketing materials of their most important asset, so triple check that the text is correct before publishing. Check for mistakes using spell check, by reading it out loud and having a friend or colleague proofread it for you. Credentials & up to three accomplishments. A professional headshot or video bio. Call to action & contact details. For additional ways to generate more business online check out our guide to building your personal brand, ways to get more leads from your website and what Australia's best agencies are doing socially.